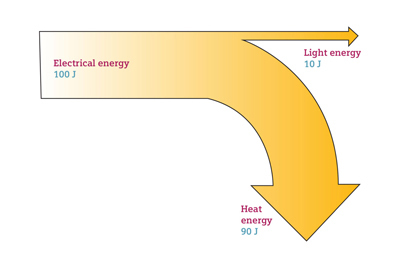 I guess the scaling width for 100J is different in the two diagrams. 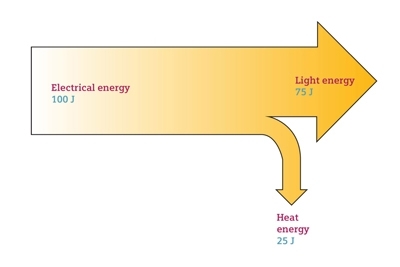 Hence, the 75J light energy above appears even more impressive compared to the 10J below. Anything else? @Toby: the two Sankey diagrams I show together in one post were individual files. So I think it is OK that each of them has its own scale. But the main problem is a different one … you might need a ruler to find out.